i've been making felt pillows – with some embroidery or wool felt images. i was so excited to drop them off yesterday at the wyly arts center for the holiday art mart. i love how sooo many ideas start floating around my head once i'm making things. the ideas just aren't there if i'm not actively working on a project. and the more things i'm creating the more ideas that are popping into my head. it's funny i have to learn that lesson over and over again. This entry was posted in Uncategorized and tagged embroidery, felt, sewing on 30 November 2010 by jennifer. After not making anything (except in webland) for quite sometime I’ve go’t full tilt and signed up for the Wyly Holiday Art Mart. I waited until the last minute to decide so now it’s make make make (which is a great way to spend a day) until I have to deliver my wares. At least I have the dog for moral support (xo, birdy!). This entry was posted in Uncategorized on 24 November 2010 by jennifer. so our CSA is still delivering…which is amazing…but also means that we are still looking for ways to eat more greens then we've ever eaten in our lives (and we were vegetarians for 20 years). so yesterday i finally made kale chips. thank you pat for reminding me to do something i should have been making all summer and thank you smitten kitchen for the recipe. they are so good that even my child – who's favorite food is bacon – couldn't stop eating the kale chips and even ate them as her video game, junk food snack as she played harry potter lego on the wii. This entry was posted in Uncategorized on 18 November 2010 by jennifer. i think as a kid who didn't grow up with stockings they have a certain charm like no other holiday item. they can contain all the little surprise treats you never expected! This entry was posted in Uncategorized on 17 November 2010 by jennifer. This entry was posted in Uncategorized on 10 November 2010 by jennifer. 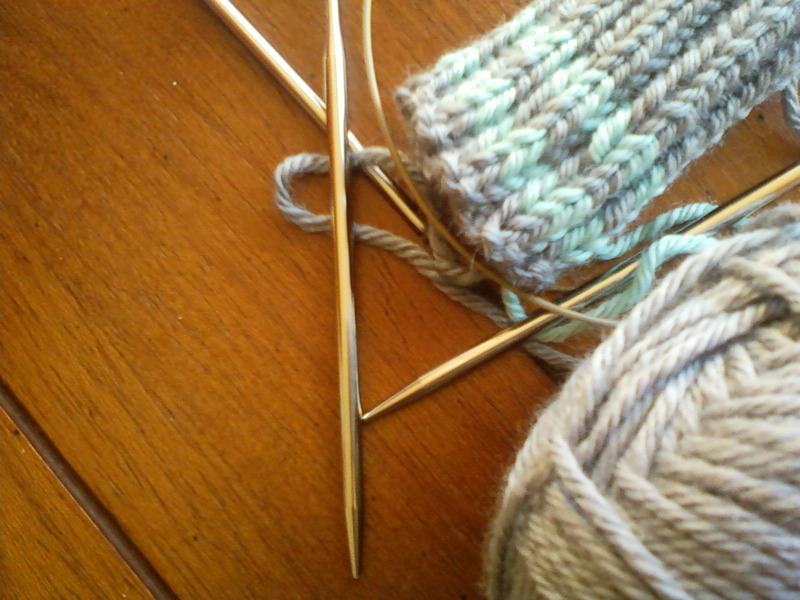 So I’m knitting – maybe for the first time since we moved – which has been forever. I love having a project waiting for me when i sit down. Its still amazing to me to create fabric out of a piece of yarn. And it’s nice to enjoy thinking about the holidays – not to be frantic or in a rush. This entry was posted in Uncategorized on 8 November 2010 by jennifer. This entry was posted in Uncategorized on 7 November 2010 by jennifer. 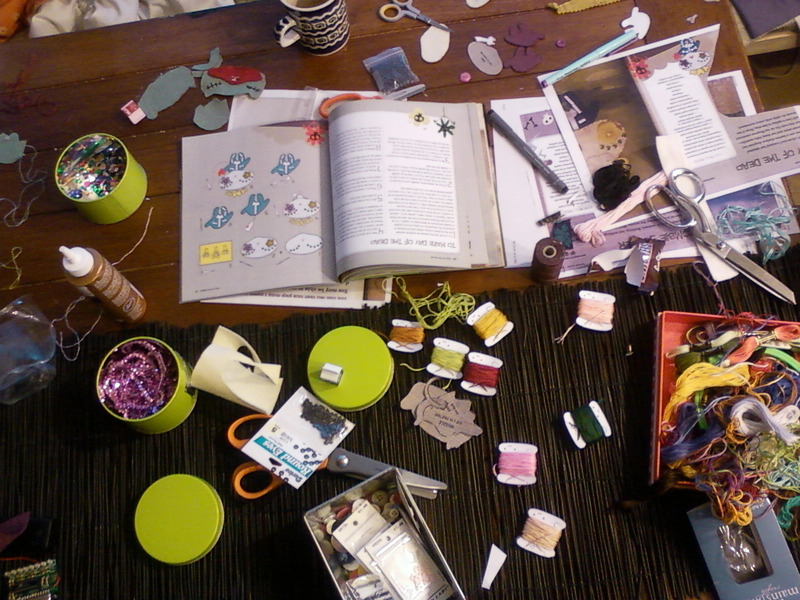 The mess of a family craft day – we didnt finish anything, but i love my new book and i thank wildolive for the printable bobbins. A little organization goes a long way. This entry was posted in Uncategorized and tagged craft, felt on 17 October 2010 by jennifer. And then after I cleaned the kitchen I realized I had ten more tomatoes hiding under the plethora of cherry tomatoes in the big bowl…I could've had another jar! 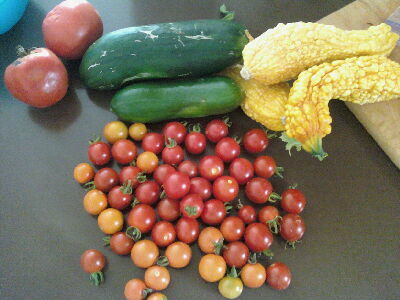 I can't imagine how many tomatoes come out of big midwestern gardens that people can them. The peeling of the tomatoes alone was an epic adventure. 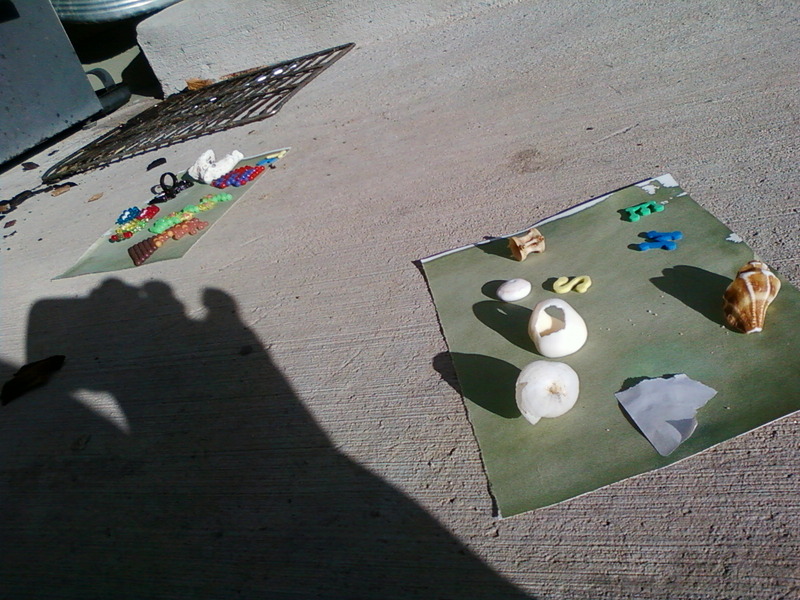 This entry was posted in Uncategorized and tagged cooking on 12 October 2010 by jennifer. 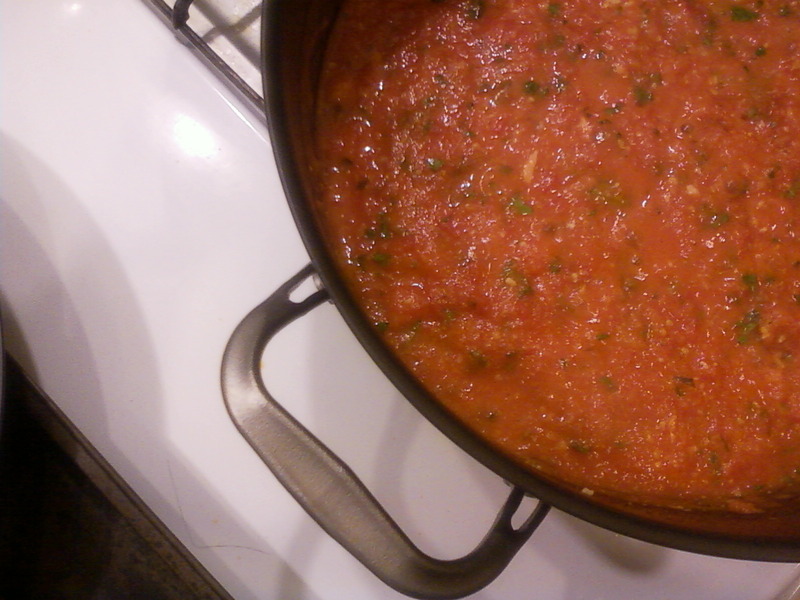 My first try at homemade tomato sauce with tomatoes and basil from my garden. 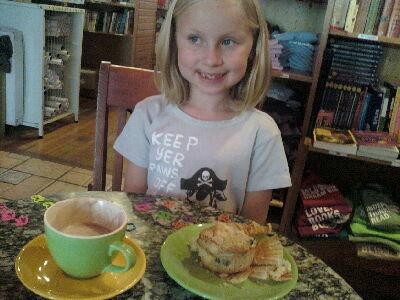 This entry was posted in Uncategorized and tagged cooking on 11 October 2010 by jennifer. 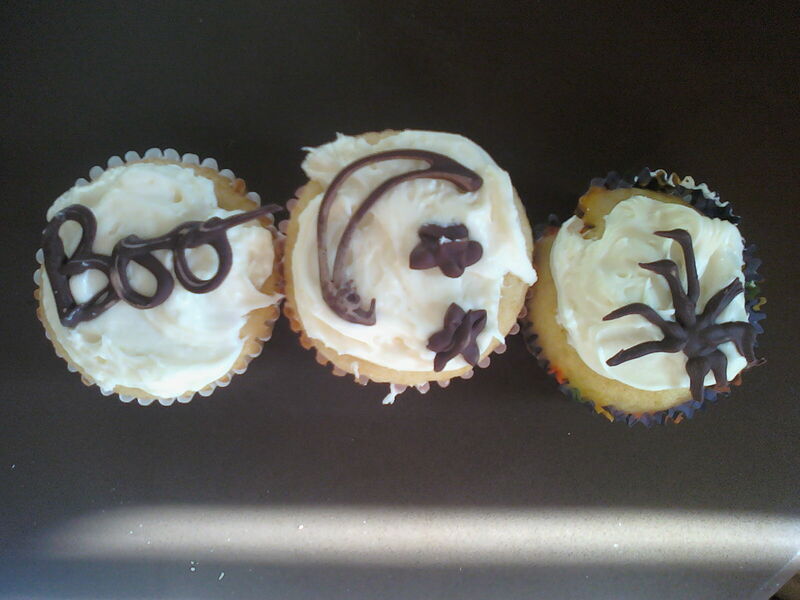 We made some halloween cupcakes for a small event yesterday – it’s october so it’s time. I was happy to get back to writing with chocolate. Almost any white chocolate seems to work well. Otherwise I’ve had the best luck with Guittard Dark for regular choclate. 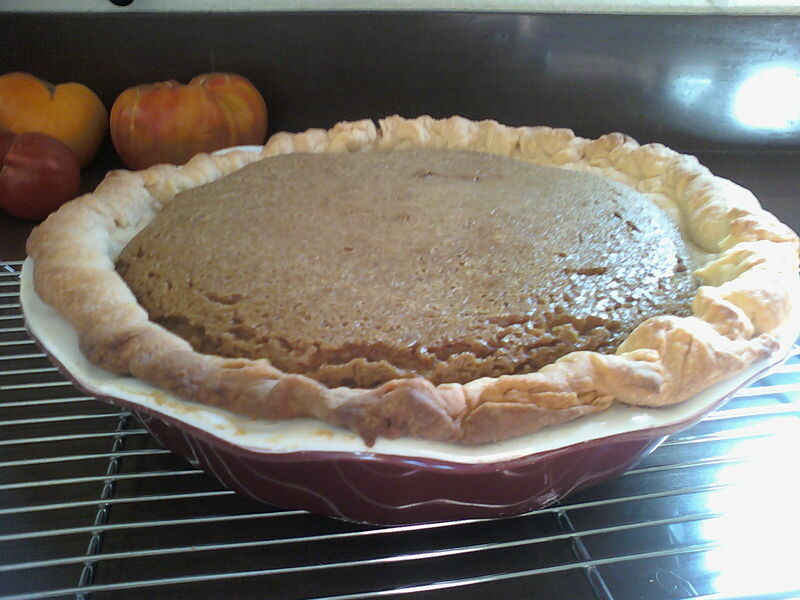 This entry was posted in Uncategorized and tagged baking on 6 October 2010 by jennifer. i send tilly a note in her box once a week, with a japanese eraser in a cute little envelope from paper source. i love these lunch box note printables though for a little something new on another day. i know she loves the surprise of finding something in her lunchbox. This entry was posted in Uncategorized on 30 September 2010 by jennifer. This entry was posted in Uncategorized on 29 September 2010 by jennifer. This entry was posted in Uncategorized on 27 September 2010 by jennifer. This entry was posted in Uncategorized on 22 September 2010 by jennifer. This entry was posted in Uncategorized on 21 September 2010 by jennifer. my hands have been shaking with the need to get many things done at once so i've been getting some crafting done. i was really happy with how this pillow turned out for a birthday present. i love my new fabric and i love some of the old fabric i found in my stash. i forget when i started knitting for christmas but it was many months ahead of time. in the end i finished one project – but it was a cute one! i made a pair of coordinated bunnies for my sister-in-laws twin boys. they are just ten months old so i kept them small and soft with matching blankets. this pattern comes from kate gilbert and is truly amazing. the bunnies are knitted in one piece and then stitched up in different parts. it makes a great pattern to work on as you move around because there are no loos pieces and the bunnies are cute as can be. This entry was posted in Uncategorized and tagged knitting on 14 January 2009 by jennifer. Way back on December 11 I received the most fabulous back-tack package from Leah in Australia. I was so excited but I was given clear instructions by my helpful assistant to wait until she got from from school to open the box. We were very excited to find a beautifully wrapped set of packages including fabulous decorations from Leah's cute kids. then the house and eventually on the tree. For the Frankincense – there was an amazing hand knitted candy cane washcloth with a cranberry scented sparkle soap from the body shop. And there was also a coconut Christmas pudding which I had to do everything I could to keep my helpful assistant from tearing open the box. For Myrrh – there were two truly fabulous amazing gifts. And then Leah included a kit for making a christmas stocking with the cutest retro christmas fabrics. We actually don't have stockings so the kit was a life-saver – we flew on Christmas morning to family so my lovely assistant was able to take the now full stocking with her and open presents on the plane as we flew cross country. This entry was posted in Uncategorized on 14 January 2009 by jennifer. This entry was posted in Uncategorized and tagged life on the go on 28 December 2008 by jennifer.